Where can you find cheap renters insurance? Should you go with the traditional big box insurance companies of the world? Or should you go with a fresh new startup? Heck, do you even need renters insurance? In this article, we’ll look into the specific coverages renters insurance provides and how they benefit you. We’ll also take a look at the insurance companies that offer this coverage so you know which one is right for you so you can find the cheap renters insurance you’re looking for. Let’s start with an in-depth analysis of renters insurance coverages. On a high level, renters insurance is a policy that protects you and your family against lawsuits and against the loss of your valuables. Just as a homeowners insurance, renters has two parts to it: property and liability. Remember we were talking about the policy covering your valuables? This is the part of the policy that takes care of it. Let’s mentally survey any room in your house, for example, the living room. Likely you have a TV, a couch, maybe a coffee table at a minimum. What about a laptop or an Ipad? A TV gaming console such as XBOX or Nintendo Switch? We will also need to add in the furniture like a bookshelf and/or the stand that holds your TV. Even by conservative estimations, there is at least $2,000 worth of furniture and valuables here. And that’s just one room! If you quantify most of the items you own (don’t forget to add any unique items related to your hobbies or lifestyle like skiing equipment or weight lifts) as well as general household stuff (those clothes and small kitchen appliances add up) you’ll probably get a pretty high number. Now imagine the worst case scenario — your apartment goes up in flames. All your stuff is gone. Would it have been worth it to spend as low as $5 a month to get reimbursed for all of it? It seems worth it to us. How about you? It’s important to note that the coverage extends beyond the four walls you live in. The policy would cover any personal item outside of your residence as well — whether stolen from the car or while traveling. Similar to other liability policies, this coverage protects you against lawsuits for injuries others sustain at your rented home or you negligently damaging someone else’s property. When you own a home, you are required by the lender to carry a homeowners insurance policy. However, when you rent a property, often there is no such requirement, yet the risks are still the same. A guest tripping on a wet floor, falling and injuring themselves. An ambulance needs to be called to transport them to the hospital. A friend’s child falling off a trampoline in the backyard and breaking an arm. Ambulance and a big medical bill ensue. A bathtub incident: you running a bath, getting distracted, and letting the bath overflow damaging the apartment beneath you. An angry apartment owner presents you with a bill to fix the water damage to his apartment. 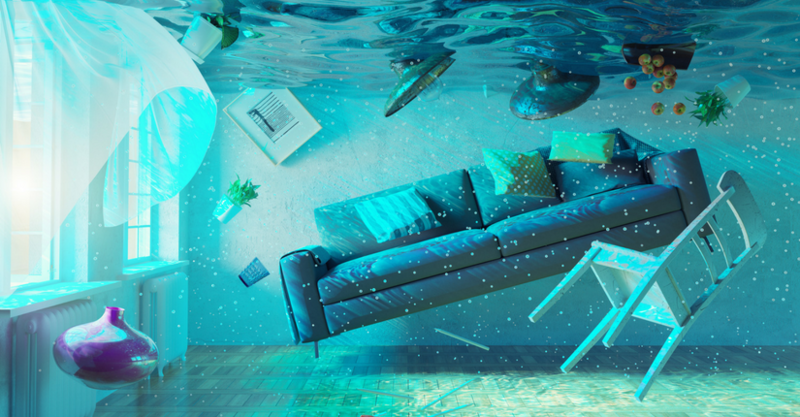 Not only does renters insurance cover these scenarios, but coverage also extends to paying your additional living expenses should your rented home become uninhabitable. Much better than having to move back to your parents’ basement! Now that we went over the typical coverages that renters insurance provides (please read your policy for a complete list of coverages and exclusions), let’s talk about the insurance companies that write these policies. As someone who dealt with a few insurance companies (car insurance anyone? ), we can honestly say that dealing with them is a pain. First, you sit on a phone for a while bouncing from one automated option to another, trying to get to a live person. Then when you get to a representative, you are asked a million questions. Often they also try to upsell you with additional policies. Issuing a policy is a whole other set of hoops to jump through. There are long application forms to fill out. There are lots of pages to sign. And of course, there is lots and lots of fine print. Oh and don’t get us started on the reading of the actual policy. Reading just the first three pages is guaranteed to give you a headache. The legalese, special terms and coverage that is “provided on the main page — but excluded unless condition A is met — but only if conditions B and C are present” is exhausting to try and figure out. No wonder that no one other than insurance agents, lawyers, and the people who wrote that policy genuinely know exactly what is covered and excluded. Peer-to-peer (or P2P) insurance defies the traditional insurance model where the insurance carrier collects premiums, pays out claims out of these premiums, and pockets the rest. In the P2P model, a group of individuals pools together the premiums and together insure against the same risk. And if a claim happens, it is paid out of that pool. The leftover premiums that were paid into the pool are either returned to the policyholders or donated to the cause the group cares about. Due to this aspect, it is also called social insurance. Lemonade Insurance is a pioneer of the P2P market in the US. As a first US peer to peer company, they are treading on the unknown territory. We’ve looked into them and frankly were impressed. Below we’ll look at some of the qualities that makes Lemonade so great. Insurance companies use many factors to determine your premium. The rate will depend on where the property is located, the limits you choose and any extra coverages such as additional limits or no deductibles. Lemonade Insurance rates start from only $5 a month. Yes, 5 dollars! There is not much you can buy for this amount in the store, other than a pack of bubble gum and thanks to Lemonade – renters insurance. Lemonade promises it will take under a few minutes to assess your coverage needs and issue a policy. Multiple satisfied customers can attest to the truth of this statement. The mobile app, with its charming bot named Maya, will ask you a few questions and recommend the appropriate coverage. Not only Lemonade makes purchasing the policy easy, but they also make it dealing with them in claim situation quick and hassle-free. The claim can be submitted and managed through the mobile app, with the ability to upload videos or photos directly into the app in real time. We already discussed how easy it is to submit claims through the app, but it is worth mentioning it again. Because Lemonade doesn’t profit from leftover premiums paid (more on that in a minute), they have no incentive to try and deny the claim. In fact, approximately quarter of all Lemonade’s claims are paid out in under a minute. The more complicated cases are forwarded to Lemonade’s staff for review. The claim service and handling which is typically the worst performing metric in customer satisfaction surveys for most insurance carriers was reviewed very favorably by Lemonade’s customers. Lemonade also guarantees to keep your rates the same if you don’t file more than two claims per year. We mentioned a few times the concept of the insurer not profiting from the leftover premiums that were not paid out as claims. If Lemonade doesn’t pocket them, what do they do with them? They disclose upfront that they get a 20% fee from the premium to pay for the overhead expenses and keep the lights on. The premiums that were not used to pay for claims are donated to the non-profit of your choice. This is indeed one of the more heartwarming aspects of this program. You can protect yourself AND help a cause close to your heart. What could be better? No lengthy term definitions here that only an insurance agent can understand. The language is clear and is geared to an everyday consumer, speaking their language. Lemonade has even open sourced their actual insurance policy — you can read the policy (the actual coverages will be populated once you purchase the insurance) and even suggest wording changes. How cool is that? In a traditional insurance policy, even when you have a high property limit, for example, $100,000, typically you are still liable to pay a deductible effectively reducing the coverage for your item. So if you had a $250 deductible on your policy and filed a $1,000 claim for a stolen laptop, you would only get $750. Probably not enough to entirely replace the laptop for an exact same one. The deductibles are put in place as deterrents to claim low-cost items such as flip-flops, cheaper electronics, etc. Lemonade has introduced a Zero Everything concept. Your deductible? Zero! Your rate hike after filing a claim (as long as two claims a year or less)? Zero! Every insurance policy, Lemonade being no exception, has sublimits. Sublimit is simply a separate smaller limit placed on specific categories of items such as electronics, cash, jewelry and others. The extra coverage option lets you schedule your more high-value items onto the policy with as high of a limit as you need to replace those items. Of course, we also have to point out a few negatives that we did find — Lemonade currently is only offering home insurance for single-family homes and renters insurance. So if you are used to bundling your auto and renters policies for a discount, you can not do it here. They are also only available in select states across the US, but the list is constantly growing. Insurance is a necessary evil. Everyone hates paying the premiums, but the only thing worse than that? Having to pay for the entire claim out of your own pocket. It might seem that these situations will never happen to you, but for as little as $5 a month, you will be protecting your money and livelihood. Lemonade insurance company has really impressed us with its ease of use and hundreds of glowing reviews. A fun fact — this insurance company has no official complaints with NAIC (National Association of Insurance Commissioners). This is an accomplishment, especially in the industry that is peppered with unhappy customers who encountered claim denials and rude customer service. Lemonade is all about transparency. They are honest about their struggles and successes, and you can’t beat their rates.